"I was first introduced to Aqua Enviro, through their training courses/conferences specifically relating to Anaerobic Digestion. I found their courses to be excellent and a good foundation for operators of process facilities. 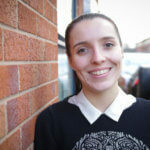 Recently I have utilised Aqua Enviro for bespoke services in the laboratory. 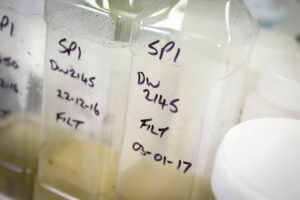 These tests have involved start up/ramp-up optimisation for mesophilic and thermophilic digesters as well as studies on advanced sludge dewatering techniques. I have found their approach to trials to be flexible and accurate and closely modelled the actual plant conditions. For example, the inhibition of Thermophilic AD followed the actual start-up conditions allowing me to manage and mitigate the associated operational problems." 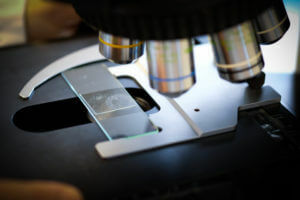 All data is reviewed by experienced consultants and, unlike larger high throughput laboratories, we are able to offer expert interpretation and advice from these results. Analysis is carried out at our laboratory in Wakefield in accordance with our accreditation for IS0 9001, ISO 14001 and OHSAS 18001. In addition, we have an active research and development programme and provide a wide range of treatability and process modelling trials. 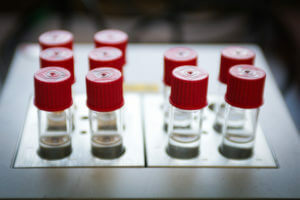 A wide range of standard and bespoke tests to monitor any treatment process, we have the capability to collect samples from site, undertake the desired testing and provide interpretation of results using our dedicated process scientists. 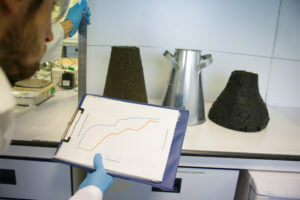 Analyses of standard wastewater, biosolids and organic waste chemicals plus we can arrange rapid turnaround times, when required, with same day analysis on certain parameters. 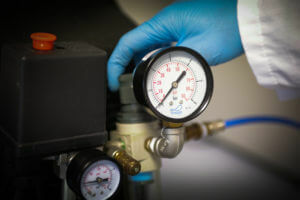 We offer a range of biodegradability testing methods for environmental samples of liquid, sludge and solid waste, chemical products and packaging. We are keen to work with clients to develop new methods or testing protocols to meet the requirements of any given project. We have a team of experienced analysts working with our consultants to understand the project aims to develop solutions to your complex problems. 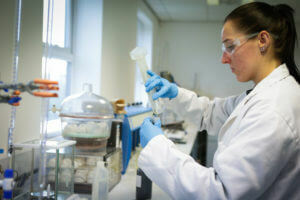 Take a look at our laboratory page for an extensive list of wastewater testing services on offer.